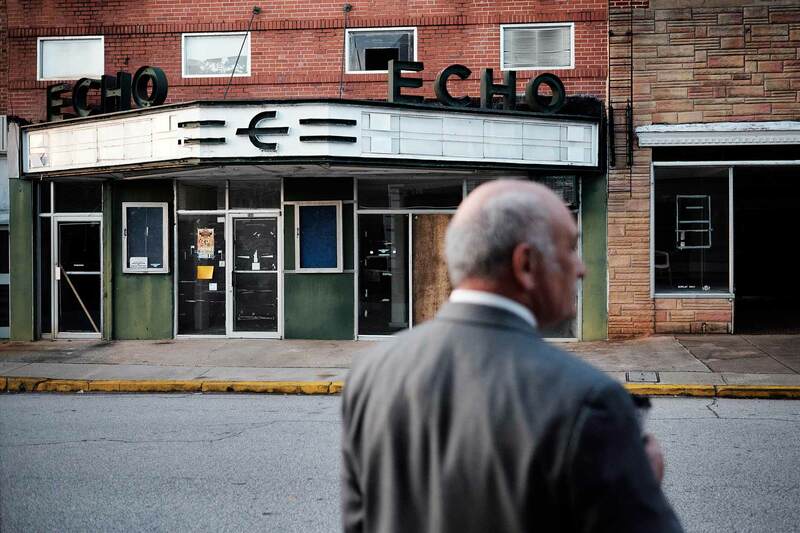 South Carolina State Rep. Mike Pitts stands in front of the former Echo Theatre, which once housed the Redneck Shop that was owned by a former K.K.K. member. Pitts proposed 54 amendments in a failed attempt to stop a bill that removed the Confederate flag from South Carolina's state house grounds. "I wore a Confederate flag to school. I played football with black kids, drank liquor when we could sneak it in. No one thought nothing of it," Pitts says.